Seoul, South Korea and Los Angeles, CA (January 4, 2018) – CJ 4DPLEX today announced the locations of the next four 4DX theatre locations to open as part of its agreement with Cinépolis. 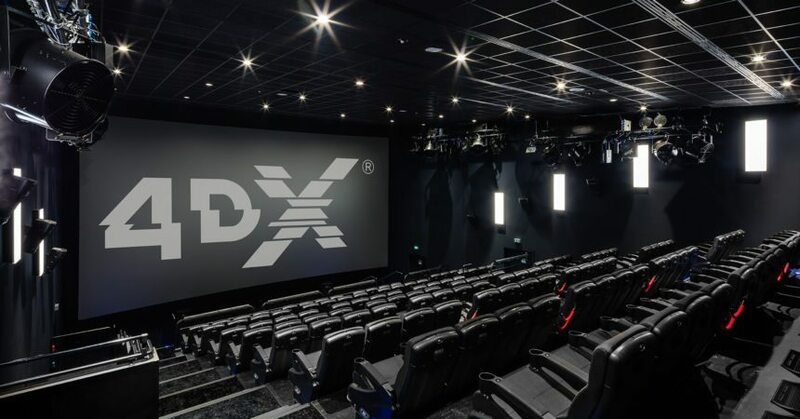 The next 4DX theatre part of the agreement will open in Mexicali, Mexico on January 15, bringing the total number of 4DX sites in Mexico to 31. The immersive cinema technology, which opened at five new Cinépolis theatres in 2017, is also slated to open an additional six locations: in Cumbres Monterrey, Mexico, Coquimbo, Chile, Santiniketan, India, as well as three other sites in Latin America and the U.S. 2018. Cinépolis is one of the largest providers of 4DX auditoriums around the world with 51 locations in 10 countries already in operation. As Cinépolis expands globally, new sites Cinépolis sites that have opened with 4DX installed, including two in the U.S. at Cinépolis Pico Rivera and Cinépolis Vista. “Cinépolis is looking to elevate the movie-going experience and bringing 4DX to as many corners of the world as possible is part of accomplishing that goal,” said Alejandro Ramirez Magana, CEO, Cinépolis. One recent example of a film that performed exceptionally strong in the 4DX format at Cinépolis locations is Geostorm. In 4DX, the blockbuster film generated a gross box office contribution per screen of 3.13x compared with 0.84x for non-4DX screens in the Cinépolis Mexico territory. Other titles to highlight include The Fate of the Furious, which delivered an average occupancy rate of 51% for its two-week run, and It had an opening week occupancy rate of 45% – the best of any horror movie in 2017. In addition to the above, Cinépolis and CJ 4DPLEX are planning to open additional 4DX sites due to the overwhelming success to date. CJ 4DPLEX is the world’s first 4D cinema company, headquartered in Seoul with international offices in Los Angeles and Beijing. The company created 4DX, the first and leading 4D cinema technology for feature films, providing moviegoers with an immersive cinematic experience that utilizes all five senses, allowing the audience to connect with movies through motion, vibration, water, wind, snow, lightning, scents, and other special effects that enhance the visuals on-screen. CJ 4DPLEX brings 4DX auditoriums to exhibition partners along with 4DX codes for both major Hollywood blockbusters and local titles. Each auditorium incorporates motion-based seating synchronized with more than 20 different effects and optimized by a team of skilled editors, maximizing the feeling of immersion within the movie, beyond the limits of audio and video. Since 2009, more than 480 Hollywood titles have been screened in 4DX. As of December 2017, more than 57,000 4DX seats operate in 475 auditoriums spanning 57 countries. CJ 4DPLEX was named a Most Innovative Company of 2017 in Live Events by Fast Company. For more information, please visit www.cj4dplex.com. Cinépolis is the world’s 4th largest movie theater circuit, operating more than 5,300 screens in 14 countries and serving more than 330 million patrons annually. Cinépolis operates under four different brands that span the ultra-premium to the extreme value segments. It was the first cinema exhibitor in the world to pioneer the concept of premium and luxury movie theaters via its Cinépolis VIP brand. Cinépolis aspires to provide its patrons with the best overall experience in filmed entertainment and employs a global workforce of approximately 38,416 in support of its mission. Founded in 1971, Cinépolis’ headquarters are located in Morelia, Mexico.